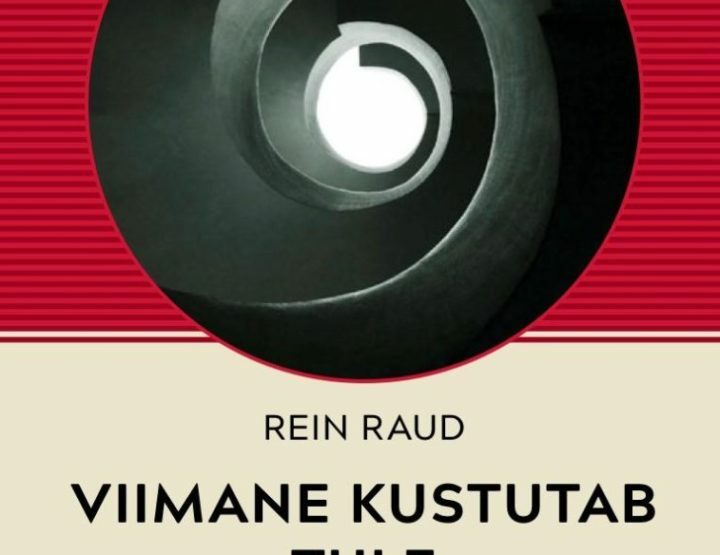 The Estonian public knows Rein Raud foremost as an intellectual and a scholar of the humanities who doesn’t balk at speaking up in discussions that shape society. His latest releases include a textbook on global literature and an academic monograph and introductory guide to the very diverse field of cultural theory, Meaning in Action (Tähenduste keeris), which presents a vision of culture’s main operational mechanics. Even so, Raud sees himself foremost as a prose writer. He entered the world of literature through poetry, publishing the debut collection Barefoot (Paljajalu, 1981) before his twentieth birthday. 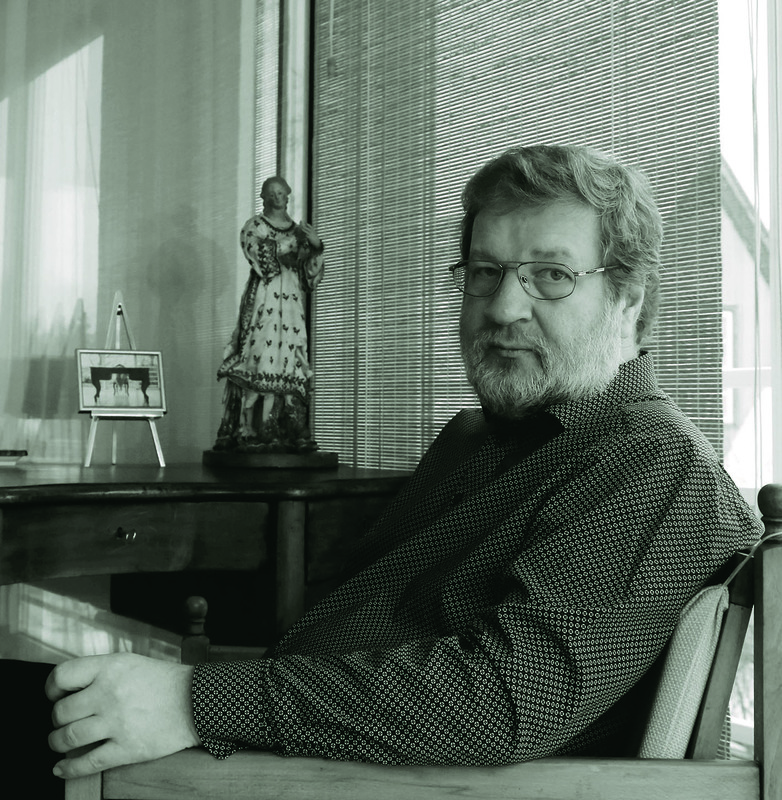 Since then, he has been a prolific prose author (eight novels and three short-story collections, in addition to poetry) and has received many awards. Raud’s latest novel Bell and Hammer (Kell ja haamer) was published in late 2017. How do you most readily classify yourself among your various fields of activity? Does everything begin with literature, all the same? Yes, that’s right. All of my activities are just various types of writing: only the attributes of what is written differ. Sometimes, precision and clarity are key; other times, it is imagery and the force of expression. Still, language is at its absolute purest in poetry, where it tests its own limits. Poetry is what prevents language from turning into jargon and the insipid blathering of advertising texts, even though those forms of language dominate most people’s linguistic reality. That is why I believe there is a grain of poetry hidden in any kind of literary text, even when the author has never written any poetry personally. And to go further, writing in different genres simply signifies a need to tune one’s relationship with language according to what is being said, nothing more. 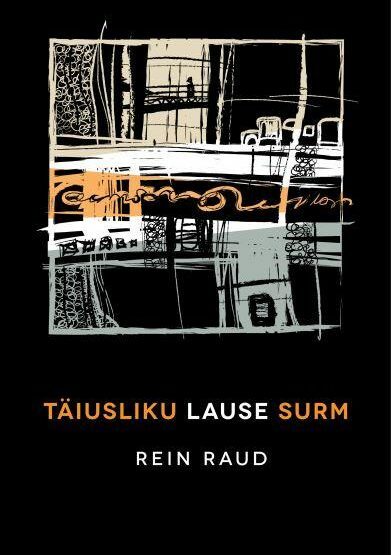 Surprisingly, Rein Raud the poet is quite a different author than Rein Raud the prose writer. Very personal, thoughtful, and impressionist shades stand out in your poetics. Your novels are mainly story-centric, which is conveyed through a wide range of genre methods. When you began by writing poetry, did you primarily imagine your future life as that of a poet, and did other literary activities grow out of it only later? Actually, I began with prose. My first pieces were short stories that were published in young-author collections in the 1970s, a genre I sometimes still use today. I arrived at poetry shortly after that, when I was still in high school. But like I said, poetry is the purest form of articulating thought in language. All the same, I mainly write long prose today. If I had to figuratively characterize the difference between how I regard poetry and prose, I’d say that both are my music, but poetry is singing and prose is like playing an instrument. You can only sing with your own voice. However, while an instrument does submit to you, its own voice still lies within it. And while some authors primarily write their prose in one style, only playing piano, so to speak, I have enjoyed trying out different instruments. The story you wish to tell also dictates the genre and the style. But like some players of early music, for instance, I also often craft my own instruments, blending the conventions of different genres and occasionally following or breaking their rules in the interests of the story. You studied English and Russian in school, started reading in German early on, and by the end of high school, you were already at the point with languages where you began studying Japanese philology in St. Petersburg (Leningrad at the time). You navigate the world’s cultural force lines very well. Who has been an example and an inspiration to you in your self-development? My main influences during my impressionable years came from outside the Estonian cultural space. Friends of my parents brought us good books to read from Finland, and we still had my father’s stepfather’s large, mainly German-language library at home. He had had an interest in Asian philosophy and our bookshelves were well stocked with it: with translations and treatises about China and Japan. Still, Ezra Pound’s ABC of Reading had the greatest impact on me at the time. I didn’t know anything about Pound’s poetry, nor about his foul political views, but back then the book seemed like a mixture of astonishing erudition and courage, because in it Pound allowed himself to use rather impudent expressions about a number of literary classics whom he regarded as mediocre, at the same time as a few names that were unfamiliar to both me and our school’s literary history teachers embodied his literary ideal. I subsequently tried to find and research those names. I suppose it was also a bit of teenage rebellion, too: wanting something other than what the regime saw fit for us. Another very important moment for me was when Umberto Eco’s The Name of the Rose was published and Finnish television showed an interview with him. Here was a man who quoted all kinds of fascinating philosophers by heart, one after another; who was involved in researching the deep inner workings of culture; and who similarly wrote literary prose that was both interesting and of high quality. The widespread belief that one must inevitably walk only a single path lost all meaning in an instant. Once again, I’d underline how fascinating it was: back then, there was also a widespread belief that a work of even the slightest literary value had to be unbearably boring, like it or not. Eco’s manner of uniting his erudition and philosophy with the crime genre, which at a certain level is also enjoyable even without uncovering its depths, was rather revelational for me. You say you developed an extremely antipathetic relationship with institutions of power. What kind of bullheadedness is necessary to remain yourself in different societies, not going along with the pressure of the era? Growing up in a totalitarian society, you hadn’t even the notion that power was executed in the people’s interests. For many, this likewise meant that one was allowed to steal from the state openly, because the state itself wasn’t ethical. That was wrong, in my opinion, which meant one had to find the balancing point between right and wrong on his own, and that allowing someone or something external of yourself to make decisions was always risky and possible only to a certain extent. Then again, after the restoration of independence, several of the new politicians came from the writers and artists’ community. One launching point for this process was when the leaderships of the creative unions gathered in what is now the parliamentary building in April 1988 and told the regime what we honestly thought of it. I also had the honor to speak there, which could naturally only be done without trembling before the regime. So, the new government that took power after the restoration of independence was largely composed of good friends and colleagues. I also received repeated offers to go into politics (and still do to this day), but I didn’t want to. Even so, my attitude towards those who wield power understandably hasn’t been with the belief that they represent something lofty, distant, and powerful, but rather that they are a group of people whom I myself could have joined if I’d wished. They’re simply in the position of making decisions that affect the lives of others, as well or as poorly as they can manage. I’m known to have a problem with making decisions for others. Several of your novels deal with memory and the past in one way or another. The weaving of historical layers also forms the central structural method of your latest novel Bell and Hammer (Kell ja haamer, 2017). You grew up in a time when a single ideological treatment of history was firmly in place. Today, it’s the opposite: historical narratives are criticized and history often tends to break up into little, conflicting shards. What can literature do with history in conditions like these? History is important because it hasn’t disappeared in the past, but is contained within everything we are and in everything that we do. History truly is the total sum of all those chains of cause and effect that have shaped us in our current form. The more that is muddled and conflicting in our past, the more tensions we have within ourselves here and now. What I’ve now realized about the relationship between history and literature is that it is the writer’s duty to ensure historical narratives are not simple, that they aren’t made overly important. 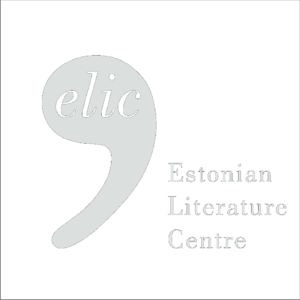 In my novel The Death of the Perfect Sentence, for instance, we encounter many nice and honest people whose fates are sealed by events that historically led Estonia to liberation. Naturally, I don’t want to reevaluate the events themselves in any way, and no matter what path history might take, someone always ends up caught in its gears undeservedly. But by going along with the simple black-and-white version, we seemingly assent to “write off” those chance victims of history, until one day we ourselves are those victims. We also must not forget that we are groping in the dark. Right now, when we observe people of another era, the direction the world they lived in was moving is clear to us, but it wasn’t to them. They can never be entirely freed of the prejudices of their era, and that is true for us too, here and now. That’s precisely why in one of the eras Bell and Hammer is set in, I focus on a naïve communist who is a good person overall, even though we now know that the system she held such a steadfast belief in was wrong and criminal. The novel also includes a theoretician’s argument that the games of an era reflect the social structure of the time. By researching games, we also find out about the era and its people. As the author, you don’t happen to know anything more about this, do you? Games are a central device in Bell and Hammer, although I believe the experts would probably lay waste to the secondary character’s theories. The novel matured for decades and in its early phase, late in the 1980s, I was highly intrigued by Johan Huizinga’s idea of the game as a form that characterizes all kinds of directed human activity. My game-theory character Johan is named after Huizinga, although their views don’t coincide at all. I would like my Johan to be able to surpass ordinary thought through his research of games, and to arrive at a broader understanding; to realize that opposite and conflicting elements always exist together in human nature. I also needed his help a little to depict the supernatural forces that play an important part in the novel: specters that try to interfere in the characters’ lives in different ways in every era. So, what is the deal with the specters who are apparently capable of traveling through space-time in Bell and Hammer: can people expect anything from them, or does one have to help the ghosts? 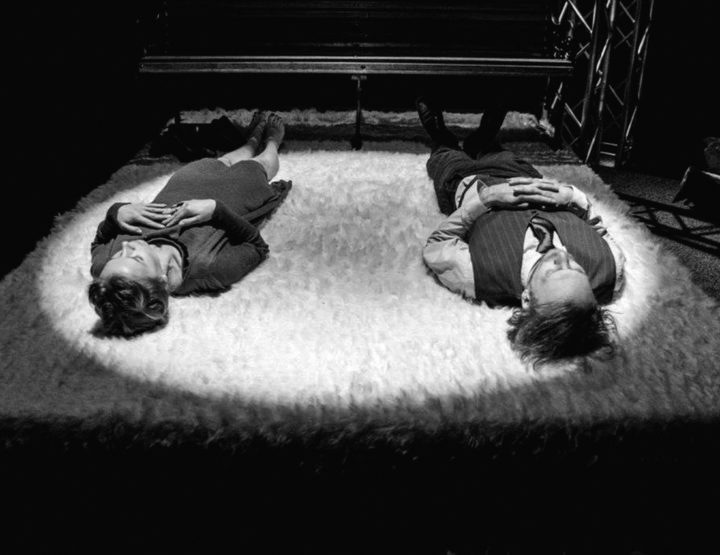 In any case, during such moments, the narrator subliminally implies that the limits placed on all humans in time-space are not entirely locked down at all. There’s a term coined by Jacques Derrida that has gained traction in newer cultural theory: “hauntology”, which uses the specter as a figure for the presence of the past, and especially of earlier future visions, in the present. Mark Fisher has gone on to say that this is also a subconscious rejection of the view that things went the way they were supposed to go. My specters are likewise opposing forces that attempt to push and pull the course of events in different directions, although the most important decisions that the courses of various fates hinge upon are always made by people themselves. In Bell and Hammer, you created different linguistic registers to convey different eras. You speak several foreign languages fluently in addition to your native Estonian, not to mention your spoken and written comprehension of a number of others. Barely a million people around the world speak Estonian, which could tempt an Estonian author to use a large global language to reach readers. Why haven’t you done so as a writer? I do write academic works in English. However, there’s not a single other language with which I have the relationship that I do with Estonian. And to ensure that a language doesn’t disappear, it should be used as much as possible for writing about what is important to people. I’ve sometimes said I’m a cosmopolitan with roots: openness to the world is just as important to me as my cultural home, which has actually also adopted very wide-ranging influences over the centuries. I did indeed implement linguistic multi-dimensionality in Bell and Hammer. Just as eras are mixed up in the book, so are the five different linguistic registers: the 19th-century language has long sentences and intermittent, slightly flowery metaphors, just as people wrote at the time, whereas the language of the 1950s has Soviet bravado, the 1979 language brings us close to the register of realistic literature of that time, and today’s language is more or less today’s. The fifth register is that of the author as the witness: I took on the role of a guide who walks around the manor and shows the reader that world in its different periods, or who sometimes conceals parts of it. You’ve said that as a writer you don’t keep telling the same story, but create a completely new world in every one of your works. Nevertheless, where does your continuity lie as a writer of novels? And what do you enjoy about writing? Is it above all enjoyment from playing with the limits of genre and structural techniques? Far from it. Those are only tools. Every story dictates its own structure, for the most part. Of course, I do like to weave plots and to play out possible story developments in my mind. This is also primarily to achieve accuracy, but the enjoyment is almost just as great as it is for the reader: you don’t know what’s going to happen yet and you turn off on every fork in the road. Once you’ve started telling the story, it grips you. When I have occasionally gone and resisted the conditions a story sets in some respects, then I’ve always regretted it later. As for continuity… My Danish publisher once told me that I’m the kind of rare author who writes quality literature, but the kind in which something actually happens. I certainly always try to do so. As someone involved in so many different areas, I have to ask: How can you live in a way that there are enough interesting experiences to use in literature? How does your subject matter take shape: do you dream, fantasize, lean upon what you’ve read, or must you experience everything personally? I strive to be attentive. Sometimes styles, characters, or solutions arise out of something that happened on a completely different life plane. Sometimes they simply come out of nowhere: someone just knocks on the inside of your head and says: “Now, talk about me.” I generally have a pretty long incubation period: the initial idea that a story starts to collect around is like a grain of sand that grows into a pearl over time. And once this process is set off, the whole world goes to work for it. A random phrase you hear someone say may set off a chain reaction, which may become characters’ dialogue in a completely different context. The demeanor of someone you see sitting in public transport or at an adjacent table in a café may mature into a character’s disposition. And so forth. Sometimes, I have my characters undergo something that I myself am afraid of. And then I acquire that experience through him to find out how well I’d personally be able to handle such a situation. In literature, what do you appreciate above all? You’re very familiar with world literature. How much time do you dedicate to reading, and what kind of literature surprises and intrigues you? I read almost every day. If time allows, I read poetry or philosophy for a few hours right after waking up in the morning. In the evening, after I’ve finished working, I read prose for a few hours. I read quite a wide range of literature: I also read a lot of authors whose writing doesn’t resemble my own at all. But I always need to find a connection with the author to understand why they do what they do. It all begins with the language, for the most part. I don’t last very long with an author who is careless with language: good ideas or a story that speaks to me aren’t enough on their own. If I should name a few favorites who have withstood the years, they’d be Faulkner, Mishima, and Dostoyevsky. But not absolutely all the works of any one of them are to my liking. But what does literature possess for which there isn’t room in, say, philosophy or cultural theory? The academic world of today has actually given up posing great questions. Most of the books that are published in the field of cultural studies, for example, handle problems that are quite minuscule, and even in philosophy, most authors prefer to dissect particular aspects of an earlier thinker’s works. There are exceptions, of course, but they are exceptions. In any case, an academic claim must be clearly placed in the context of arguments both for and against, and must be based on the best knowledge available. That isn’t necessarily the case in literature: there, I’m free to think as big as I wish and sometimes also present ideas and views that I’d be unable to argue according to academic rules. A few years ago, you published a book together with Zygmunt Bauman titled Practices of Selfhood. 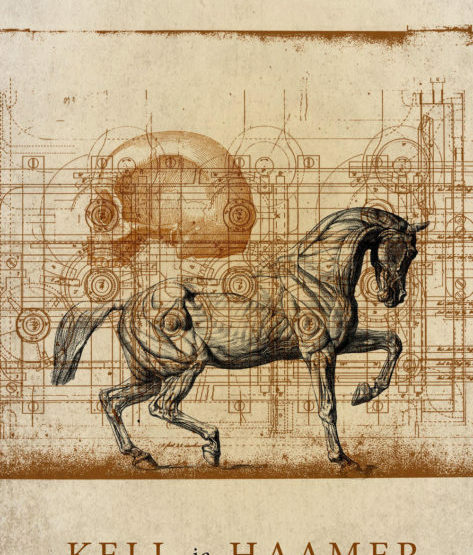 Bauman’s latest book Retrotopia ends with a memorable discussion about the future of mankind. He says that since people are unable to move beyond the contrast between “we” and “they” that pervades cultures and eras, humanity has no future. We stand before a choice: whether to take one another by the hand or crumble to dust together. How do you interpret your kindred thinker’s words? Are you ready to grab hands? Not everyone’s, unfortunately. The last few years have shown that the most unpleasant political situation of all is taking shape: one, in which we are being ground into that dust by populist confrontation and a refusal to bear global responsibility, all while a small group of the super-rich is favored by governments. In this type of situation, you can really only take the hands of those who agree to oppose it. What role could literature play in this? Literature has always had the ability to conceptually act out scenarios, modes of behavior, and choices that people might face. If literature helps them to find clarity and to not shoot themselves in the foot, then all is well. If it enables people to foresee the possible consequences of their choices more clearly, then even better. Published in Matthew Hyde’s English translation by Vagabond Voices, 2017. Joonas Hellerma (1984) studied television- and film direction at Tallinn University, where he also graduated with a master’s degree in philosophy. He is an editor of Estonian Public Broadcasting cultural programs and anchors the weekly TV interview program Plekktrumm.